There is currently a lot of confusion amongst the public and fellow veterinarians with regards to the different qualifications veterinarians use to advertise their level of competence in cardiology. In Europe nearly every country has a specific national system and guidelines towards post graduate veterinary certification and classification. However there is only one recognised specialist title in Europe (Specialist?). This is the highest level of competence in Veterinary Cardiology in Europe. It is attributed by the European College of Veterinary Internal Medicine under the supervision of the European Board of Veterinary Specialisation (EBVS). What is a European Specialist? To become a European SpecialistTM an individual must have obtained the Diploma awarded by the College of Veterinary Medicine subspecialty cardiology (DipECVIM-CA (cardiology)), and must additionally proof that they make an active contribution to their specialty (practicing), have national and international acclaim, publish and present widely in their field and maintain their level of knowledge by attending nationally and internationally recognized specialty congresses. American Diplomates (Diploma awarded by the American College of Veterinary Medicine subspecialty of Cardiology) can also apply for the European specialist title and will be accepted de facto without European examinations if they fulfill the additional publication requirements. The European specialist status is reevaluated every 5 years. 'practising': The definition of "practising" is important as only practising Diplomates are entitled to represent themselves as European Specialists. This is important with respect to the college's role in providing information to consumers on the availability of specialist veterinary services for companion animals. On average a minimum of 24 hours a week must be spent in the practice of the speciality. It is suggested that a Diplomate can claim to be practising if they are available to consult with an owner or colleague and examine the animal in question. Equally it does not mean that the Diplomate has to be examining an animal 24 hours every week. Other activities may be considered as part of clinical 'practice' even when then Diplomate is physically distant from the animal, however specific details should be provided on the re-evaluation. Non-practising Diplomates are valuable and active members of the college and enjoy all the rights of other members with the solitary exception that they cannot act as Programme Directors or Residents Advisors. They may continue to use the relevant post-nominal letters (DipECVIM-CA) but should not represent themselves as European Specialists to members of the public. How does a veterinarian obtain a European Diploma? The Diploma can only be awarded by the European College of Veterinary Internal Medicine. It indicates that the holder has done an internship (or 2 years equivalent in private practice) followed by a 3-year residency in their chosen specialty at a recognised training centre and that their experience and expertise has been proven by examination. 'residency' is an intense 3-year training program at a University or Specialty practice in the chosen specialty and focuses on the most up-to-date techniques for diagnosis and treatment. The residency is supervised by mentors who have been through similar training and are themselves specialistsTM . How do I know if a veterinarian is a European SpecialistTM in Cardiology? The veterinarian is a practicing Diplomate of the European College of Veterinary Internal medicine, subspecialty cardiology [DECVIM-CA (Cardiology)]. You can check on the ECVIM website where a list is available of all European internal medicine and cardiology specialists. The Certificate is the first level of postgraduate qualification and indicates that the holder is a competent clinician who has proved their experience and expertise in the chosen subject by examination. Possession of a Certificate does not lead to Specialist Recognition. The Certificate is attainable by all those veterinarians working in general practice. It is not a specialist qualification. What is the situation in the different countries? There is no cardiology specialisation in Austria. European and American diplomats/specialists are allowed to use their title but translation is not allowed. There is advanced training in small animal medicine (so called ‘Fachtierarzt fuer Kleintiere). Furthermore, like in Germany, one can join the Collegium Cardiologicum by completing the training program and successfully passing a theoretical and practical exam (as mentioned in the Germany section). In Croatia there are no national post-graduate qualifications in cardiology nor a national specialist title independent of the European Specialist title. There are currently no specialists in the country. There are no national post-graduate qualifications in cardiology available in the country. However in Denmark there is a national specialist title independent of the European specialist title called in danish "Specialdyrlege". By having the European/American specialist title (diplomate ECVIM-CA/ACVIM) it is possible to apply to the Danish Food Administration to become "specialdyrlege". To become "specialdyrlege" is strictly regulated by law. In Belgium veterinary medicine is regulated by a national council, subdivided in two regional councils (Dutch speaking and French speaking) depending on the location of the veterinarians in the country (Flandres or Wallonie). Belgium has no post-graduate qualifications in veterinary cardiology. Veterinarians are allowed to use the recognised abbreviations obtained from additional training behind their name (eg certificate in the UK, CES in France) but are not allowed to use the specialist title or anything that can mislead the public by using abbreviations or allusions to the word specialist (eg specialised in, spec., etc?). Only specialists recognised by the EBVS approved Colleges are able to apply for the specialist title. Depending on their location the Dutch speaking or French speaking Council will approve their applications. There is no regulatory organization for screening of hereditary cardiac disease. In France, after having obtained the degree of Docteur en Medecine Veterinaire, further specialisation is possible. Intern and residency diplomas, and CEAV (Certificat d'Etudes Avances Vetarinaires) and DESV diplomas (Diplomes d'tudes specialistes Veterinaires) allow to specialise in a particular area. The first route for specialisation is by obtaining a CEAV first followed by a DESV (2-3 years) or. The Certificate on its own will not allow to obtain specialist recognition. The other route to specialise is by obtaining accreditation via an alternative route called 'Validation des Acquis de l'Experience' (VAE). The VAE will validate via a Jury (and not an examination) the competence of an individual on the basis of criteria (dossier of experience of the candidate) established by a Committee called 'le Comite d'orientation et de formation de la specialite' ( COF). In case of recognition the DESV title will be granted 'de facto'. There are different levels of postgraduate specialization in Germany. The more common way leading to the global title "Specialist in Small Animal Medicine" (including cardiology) is organized by state authorities (so called "Tierrztekammern") who define rules and regulations. The candidate has to attend specifically designed and goal-directed continuing education events over a time period of several years (e.g., 3 years) and pass final oral and/or written exams in order to be permitted using the title indicating specialization in the small animal sector. In addition, there are other programs organized by different (but not all) states (so called "Bundeslnder") leading to a "Certification in Small Animal Cardiology" after fulfilling the appropriate criteria and passing an oral examination (2 hours in length). However, there is no synchronization between the authorities of the different states; therefore certificate holders in one state are not necessarily comparable to certificate holders in another state in terms of qualifying criteria. Moreover, certificate holders from one state are not accredited in another state; that is certification only applies to the state the certificate holder practices in. Although there are differences in requirement between states, on average the certificate holder has obtained at least 50 hours of continuing education in cardiology, has generated a case log containing 50 to 200 cases including written case reports of each patient and diagnostic documentation such as copies of ECGs, thoracic radiographs, biomarker assessments, and echocardiographic images, and passed final exams. Moreover, a Germany-wide acting organization (so called "CC", Collegium Cardiologicum; www.collegium-cardiologicum.de).) is an accepted cardiology stakeholder organizing specialization in cardiology. In order to become "CC certified in Cardiology", 50 hours of continuing education in cardiology have to be obtained and 20 supervised echocardiograms performed at three different sites under supervision of CC specialists or ECVIM or ACVIM Cardiology Diplomats. If the applicant's skills are considered appropriate a final exam including 3 parts can be taken: a) multiple choice exam, b) written exam, and c) practical exam including echocardiography. Once passed, the candidate becomes a full member of the "CC" and can only maintain qualified status as long as a minimum of 20 cases are submitted to the CC authorities (which are put into a CC database). "CC" status permits execution of cardiac breeding examinations in dogs and cats in Germany. Finally, Diplomates of the ECVIM-CA and ACVIM in Cardiology are accepted specialists in Cardiology. In Greece there are no national post-graduate qualifications in cardiology nor a national specialist title independent of the European Specialist title. There is no official process for recognising European or American titles. In Ireland there are no veterinary cardiology or specialist qualifications available. ACVIM and ECVIM Diplomate status' are recognised on production of copies of original documents. The only post graduate and specialist cardiology qualifications available/recognised in Israel are either DipECVIM-CA or ACVIM. Therefore, the European Specialist title is definitely recognised in Israel and there is no extra formality to fulfil, other than having gone through a full residency training program and passing certification exams as a pre-requisite. There are currently no national post graduate qualifications in cardiology and no national specialist title independent of the European or North-American specialist title, despite the fact that there actually will be in other (select) small animal medicine disciplines. ACVIM specialists in cardiology are typically recognised as such and they do not necessarily have to (but are entitled to) apply for the European title first. The post-graduate specialization for veterinarians in Italy is regulated according to instructions set by the Italian Ministry for Universities. In Italy the title of specialist can only be used by a person who followed a post-graduate specialization course organized by a University. These programs consist of a three years course in various veterinary disciplines including small animal internal medicine, food safety, porcine, bovine and animal health. At the end of these programs the candidate should pass an examination and defend a thesis. The term diplomate in Italy can be used by both people who are diplomates of the European Colleges and by people who follow a post graduate course organized by a University. These programs included in the past a Master Course in cardiology of the dog and the cat. This program required 4 weeks of supervised clinical activity and candidates had to pass a final examination and defend a thesis. Screening activity for cardiovascular disease can be done by every veterinarian accordingly to Italian law. A National Observatory for collecting data on prevalence of cardiovascular disease will start shortly. 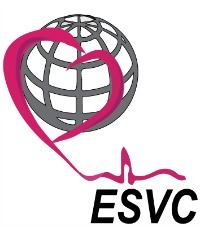 This Observatory includes a scientific committee formed by ECVIM-CA (Cardiology) diplomates. The Observatory is under the umbrella of Animal Health Foundation and will organize the activity of screening for cardiovascular diseases in Italy. Veterinarians interested to participate in this program will need to follow specific courses and they will need to pass a test in order to be qualified to screen dogs and cats for cardiovascular disease and enter the data in the database. At the moment there are two types of registration of specialists in the Netherlands: only registered as a Dutch specialist or registration as a European specialist. From 2003 onwards only the latter is available. European diplomats can ask for national registration (title: Dierenarts specialist) at the Koninklijke Nederlandse maatschappij voor diergeneeskunde once registered for this society. The Dutch specialist title is an older title which warranted training via a residency but was not followed by an examination to certify the gained knowledge. The European Specialist title is recognised in Portugal on presentation of the Diploma. There are no other post graduate qualifications in cardiology available that are recognised by the "Ordem dos Medicos Veterinarios (OMV)". There is no national specialist title independant of the European title. The American diplomats/specialists have to ask for European recognition first. The European Specialist title is recognised in Spain on presentation of the Diploma. There are no other post graduate qualifications in cardiology available that are recognised. There is no national specialist title independant of the European title. The American diplomats/specialists have to ask for European recognition first. The post-graduate specialization for veterinarians in Sweden is regulated according to instructions set by the Swedish Department of Agriculture. The Swedish Veterinary Association, which is a subunit of the Swedish Veterinary Association, administers these programs. Step I is a training program where the candidate specialize within a species, e.g. small animals, equine, bovine, porcine and food safety (), the program consists of a minimum of 3 years full-time general practice under supervision of an approved supervisor at an approved clinic, with a minimum of 1 year of Surgery and 1 year of Internal Medicine. The candidate must participate in at least 6 continuing education courses within the field of Small Animal practise where each course must be at least 2 days. The candidate must also conduct one original scientific study and publish this as first author in a national or internationally distributed peer-viewed journal. Once these requirements are fulfilled, the candidate may sit a certifying examination. Step II is a discipline oriented post-graduate training within the field of Small Animal practise that may be started once the candidate has been awarded Step I recognition. Step II programs are available in Diagnostic Imaging, Dermatology, Internal Medicine, Cardiology, Surgery, Ophthalmology and Reproduction. The programs in these disciplines are similar in their structure: the candidate must spend at least 6 weeks together with a European Specialist (holder of a Diploma by one of the European Specialists Colleges) in that particular speciality. Spend at least 3 months with the supervisor (whom must be at least a Step II specialist) and attend a specified number of continuing education courses within the Speciality. Furthermore, the candidate must have a case log of at least 500 cases where the candidate has been the primary clinician, provide between 6 and 20 (depending on speciality) case presentations between 500-1000 words (depending on Speciality) and one original scientific article where the candidate appears as first author. The candidate is awarded Step II Specialization status after having successfully passed a certifying examination. In Switzerland, there are two levels of specialist recognition.The highest levels are the European or American Diploma (one of the EBVS/ABVS specialization recognitions), which are automatically registered as specialization in our country. However, there is also a "Small Animal Veterinary Specialist FVH" for practitioners ( FVH specialization in small animal medicine and surgery, accredited by the Swiss Association for Small Animal Medicine (SVK), http://www.svk-asmpa.ch/). This is, in fact, a high level of general practice. Veterinarians who want to become FVH-boarded, need to complete an internship of one year in a recognized VTMH unit ( VETSUISSE University or specialized private clinic), and a 2 year residency program with a recognized specialized practice ( FVH, Diplomate of the American or European College). They need to complete a case log, write 3 clinical case reports and need additional points of CE. This title is given after an examination procedure, similar to the College (MCQ and oral examination). Such boarded veterinarians can use the title of "Small Animal Veterinary Specialist FVH". That means that their level of knowledge is confirmed in all aspects of small animal medicine and surgery including exotic animals. A recertification process has to be fulfilled every 3 years, according to CE level. The RCVS Certificate is the first level of postgraduate qualification awarded by RCVS, and indicates that the holder is a competent clinician who has proved their experience and expertise by examination in their chosen subject. A RCVS Diploma holder is someone who has achieved a high standard of academic and professional expertise in their chosen subject. RCVS Recognised Specialist status is not easily achieved. To be included on the List of Recognised Specialists, an individual must have achieved a postgraduate qualification at least at Diploma level (British, European or American), and must additionally satisfy the RCVS that they make an active contribution to their specialty, have national and international acclaim and publish widely in their field. A Recognised Specialist must also be available for referral by other veterinary colleagues. Recognised Specialist status is time-bound, and the individual must reapply for recognition every five years (or earlier in certain cases) to maintain their name on the List. In Great Britain a heart testing scheme (screening for hereditary cardiac disease) has been established by the Veterinary Cardiovascular Society (VCS) in agreement with the Royal College of Veterinary Surgeons. The Veterinary Cardiovascular Society (VCS) provides heart testing by its members who have postgraduate qualifications and experience in cardiology, but are not all specialists. Heart testing schemes are performed at the request of breed clubs, in association with the VCS and in agreement with the Royal College of Veterinary Surgeons. The VCS has established a list of recommended veterinary surgeons for auscultation and a list of recommended veterinary surgeons for Doppler echocardiography. The American College of Veterinary Internal Medicine (ACVIM) is responsible for the post graduate qualification in Veterinary Cardiology in the USA. ACVIM is a non-profit organization dedicated to improving the lives of animals and people through education, training and certification of specialists in veterinary internal medicine, discovery and dissemination of new medical knowledge, and increasing public awareness of advances in veterinary medical care. The ACVIM is the international certifying organization for veterinary specialists in cardiology, large animal internal medicine, neurology, oncology, and small animal internal medicine. ACVIM recognises fully ECVIM-CA qualifications. A recognised Veterinary Specialist in the USA ('board certified cardiologist') are in addition to completing undergraduate training and four years of veterinary school, similar to their human medical counterparts in that they have completed an internship and residency in their specialized field (an additional 3-5 years training). In addition to this extensive training, a Board-certified Veterinary Specialist must pass rigorous examinations to achieve Board certification from the ACVIM. Specialists bring a greater understanding in the area of internal medicine, cardiology, oncology, or neurology, and have a greater knowledge of the unusual, the uncommon, or rare in both large and small animals. Click the link to locate an American Specialist in Veterinary cardiology. The ACVIM Foundation, in partnership with the CARE Foundation and Prelude Dynamics have created the ACVIM Registry of Cardiac Health (ARCH). This registry partners the expertise of ACVIM Board-certified cardiologists across the country and around the world with concerned owners, breeders, and general veterinary practitioners to bring a powerful tool to answering important cardiac questions. This registry offers reliable certification to breeders and pet owners that their animals are free of congenital and adult onset heart disease, and exams are conducted solely by Board-certified veterinary cardiologists. ARCH utilizes a state-of-the-art web-based system that greatly simplifies the certification of pets and features complete confidentiality of test results. European specialists are also invited to participate at the ARCH registry.